A fun name, loosely associated with invasive species, which can be very pretty until they start taking over your yard or your local nature preserve. Some of the musical motifs in the piece appear in shifting settings, from attractive to more tumultuous, but, spoiler alert, cheer wins out in the end. Recorded at a home concert. 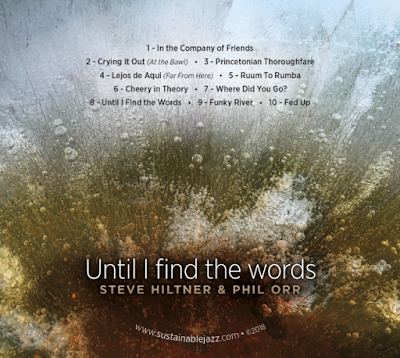 Sustainable Jazz CD Available: "Until I Find the Words"